At Dental Associates of Delaware, our goal is to prevent and detect dental disease before they become problems. Our Brandywine, Middletown and Hockessin dentists believe in saving teeth and strive toward achieving optimum dental health for every patient. We begin treating patients as early as three years of age and continue through adolescence and adulthood. Whether it is preventive dentistry, cosmetic treatments like teeth whitening and Six Month Smiles or periodontics, our Delaware dentists offer comprehensive dental care to meet all of your family’s unique needs. We believe that an early introduction to proper oral care habits, including regular checkups and at home care, will keep your child’s smile healthy for a lifetime. We recommend that you familiarize your child with the dentist’s office as early as possible. If your child understands what happens at the dentist’s office, visits can be a positive experience that can encourage your child to adopt healthy habits for a lifetime. 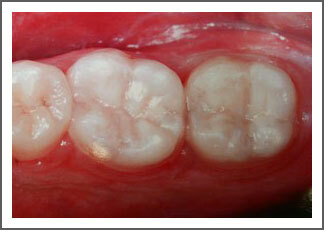 Partial and complete dentures are used to replace few or many missing teeth. When the majority of the teeth are affected by advanced periodontal disease, decay or other problems, extracting them may be the only option. Removing diseased teeth is often the best way to eliminate infection and restore the gums and the supporting bone to a healthy condition. 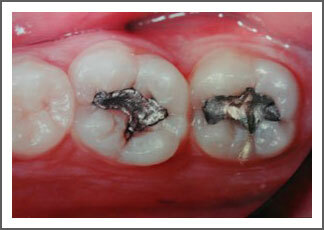 Before the teeth are extracted, impressions of the upper and lower jaws are taken. Precise models will be made from their impressions by the dental lab. Your dentures will be created using these models. If only a few teeth are missing, or if most of the teeth may be left in place a partial denture is a common alternative to the complete denture. The process for creating the partial is essentially the same as for the complete denture but the final partial denture is fitted to and among the remaining teeth. Whether you are in need of a regular check up and cleaning, or if your child has a sudden toothache, the dentists at Dental Associates of Delaware can offer your entire family the dental care that everyone needs. Let us guide you and your family toward a future of optimal oral health and beautiful, healthy smiles. If you are in the Brandywine, Middletown or Hockessin, DE areas and are looking for a quality family dental practice, look no further than Dental Associates of Delaware. Feel free to contact our Brandywine office, Middletown office or Hockessin office to schedule an appointment for yourself or a family member today!